Pinegrow WP is an extended edition of Pinegrow Web Editor. It has all the features of Pinegrow Web Editor, plus the ones listed below. So which Bootstrap Visual Editor is the best? Purely looking at the quality of the visual editor and how clean the HTML result is I conclude that Divshot and Pinegrow are both very good options. The graphical interfaces of Divshot and Pinegrow have a lot in common and are both very easy to work with. Looking at the price of those two editors Pinegrow becomes a very attractive choice (Divshot starts at $30 a month; Pinegrow costs only $49.95). Please note that this website is not yet updated for Pinegrow 4. Check out all the new features of WordPress Theme Builder. Instantly preview the theme whenever you save its HTML file in Pinegrow. Theme's PHP files are generated on the fly. Pinegrow WordPress actions and their parameters are stored in HTML element attributes with prefix wp-. 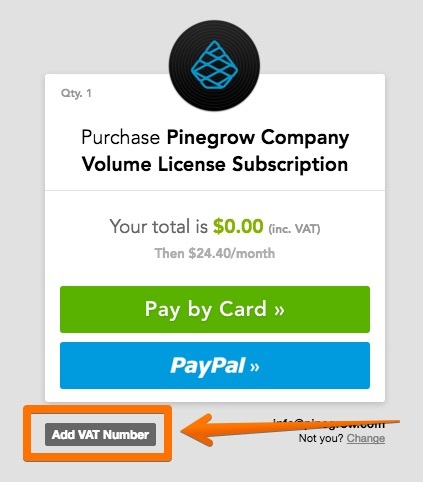 Pinegrow doesn't add any special elements to the page and it doesn't change the layout of the page. Creating fully-featured WordPress themes was never easier. Follow the tutorial and convert a static HTML portfolio template into a WordPress theme in 30 minutes. Pinegrow WP doesn't hide the PHP code from you. It's a great tool for learning about how WordPress themes are structured, about template tags and their parameters, about post types, WP_Queries and more. It is the best design and code editor i have used so far... And this comes from a person who works fluidly in Sublime Text and Dreamweaver. This is a sweet app for web design. Got it this morning and I'm already using it a lot to throw some prototypes together. Awesome! Looks amazing! 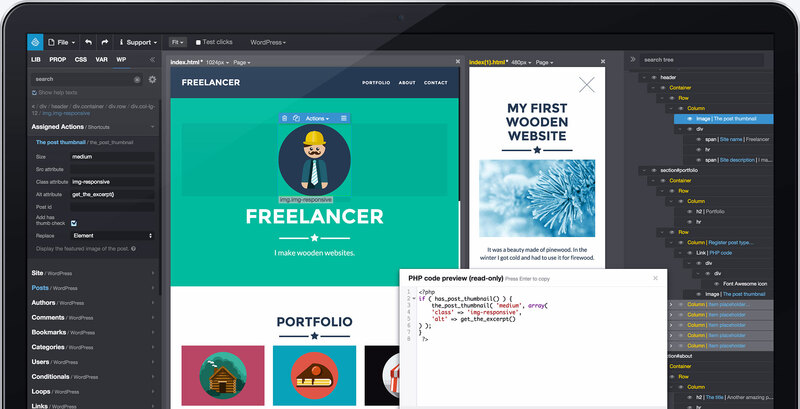 @Pinegrow A Win/Mac app that lets you mockup & design #Bootstrap sites. Geniale IDE! Pinegrow Web Designer. Hey, just bought your product and I love it. We send out news about Pinegrow every two weeks or so. You can unsubscribe at any time. Read the user manual and check out video tutorials. Why and How to create a Settings Page ?